The Congress Party on 11 December came down heavily upon Prime Minister Narendra Modi for alleging that Pakistan was meddling in the Gujarat assembly polls and supporting Congress leader Ahmed Patel to have him elevated as the chief minister of the state. Dubbing Prime Minister Modi's statement as 'irresponsible' and 'outrageous', Congress leader Anand Sharma demanded an apology from him. "Ex-Pakistan Foreign Minister was here to attend a wedding. There was a dinner organised for him in which there were former diplomats, former army chief among other dignitaries. Does the prime minister think they were all conspiring with Pakistan? This is reprehensible. It's expected of the prime minister to use a language which is equivalent to his post. 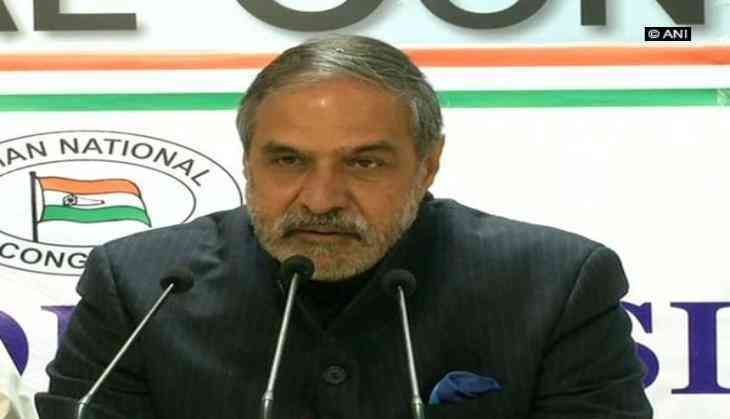 He should retract his statement and should apologise to maintain the decorum of his post," Sharma said. He further said that Prime Minister Modi's remarks show that the BJP has realised it was going to lose the Gujarat elections. "The Prime Minister has said Congress is conspiring with Pakistan for Gujarat elections. Its outrageous. This is just an attempt to polarize ahead of second phase of voting in Gujarat polls.This also shows their desperation and that BJP's loss is now certain," he added. Yesterday, while addressing a rally in Gujarat's Banaskantha, Prime Minister Modi alleged that former Pakistan Army director general Arshad Rafique was helping Patel to become the Gujarat chief minister. The prime minister had also questioned suspended Congress leader Mani Shankar Aiyar, former prime minister Manmohan Singh and former vice-president Hamid Ansari's meeting with the Pakistan High Commissioner. Meanwhile, Pakistan Foreign Ministry Spokesperson Dr Mohammad Faisal has asked India to stop dragging Pakistan into its electoral debate.